Now's the time when you are coming down to the wire on making sure that your e-commerce website is ready for the holiday rush. It's t-minus 66 days until Black Friday and even fewer days until the beginning of "Black Friday week," when many online retailers will start their sales. We love what we do, and there’s nothing better than engaging a conference with hundreds of like-minded people. 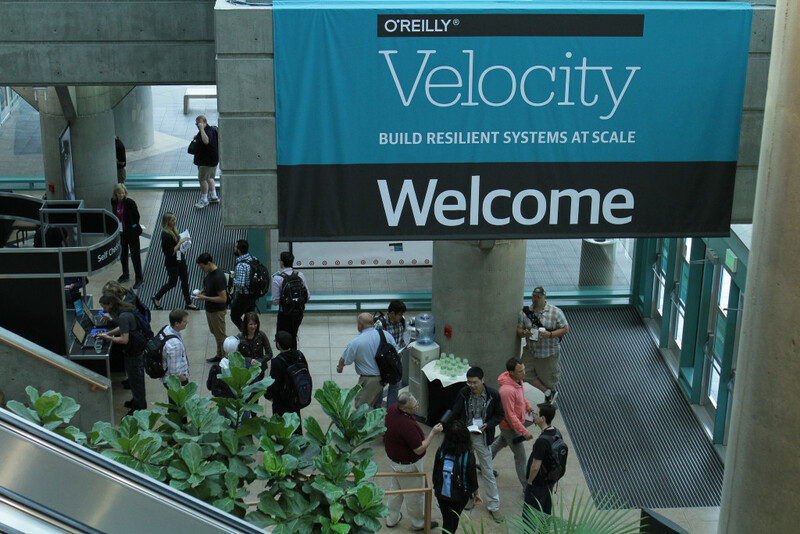 Velocity 2015, in beautiful Santa Clara, Calif., served as another reminder that not only are we in the right business, but we’re in a competitive space surrounded by brilliant professionals who genuinely care about making the Internet a better place for everyone. After a weekend to think about all the great stuff we saw, here are a few highlights. Overview: This talk challenged the audience to think like a hacker with bad intentions. What better way to secure your organization than to think about what you would want to steal — whether that’s money, information, etc. We highly recommend you watch this presentation because not only is it incredibly thoughtful and informative, but we think you’ll really enjoy Laura’s style and delivery. Overview: In this 90-minutes session, Chris covered the best practices in web performance optimization for single-page applications, which included info from his appropriately named book. The presentation held the attention of a packed ballroom that seated at least 300 people, and even included a large group of standing-room only spectators. 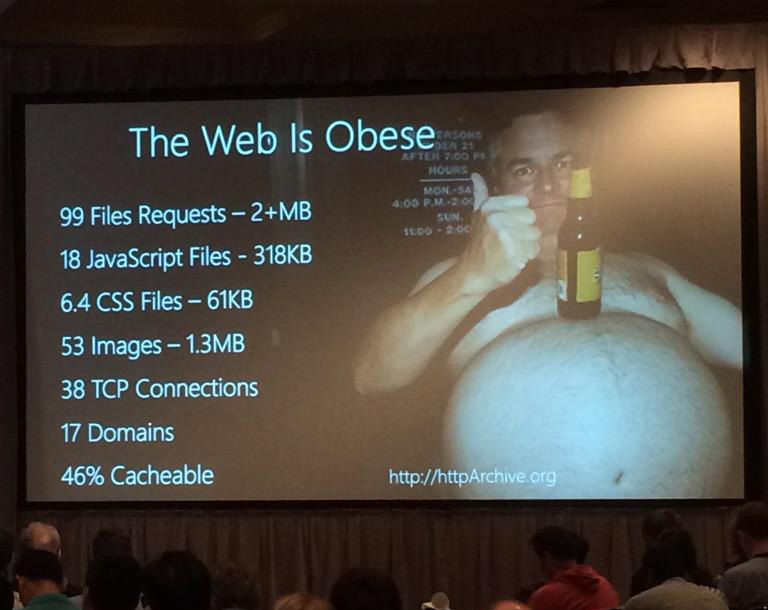 Chris also provided one of Velocity’s most impactful visual highlights — a slide claiming "the web is obese" with some interesting statistics on the average website. Although, there might be something else in the picture that grabbed people’s attention. Overview: While Chef was at the forefront of the DevOps movement, Adam’s presentation was about how the methodology doesn’t really “belong” to anyone in particular. In fact, plenty of companies are now moving to DevOps, and it’s fair to say no two processes look the same. Here’s Adam giving this presentation at ChefCon earlier this year. The information is great, and it’s definitely worth watching for a well-placed Dave Chappelle/Wu Tang Clan reference in the middle. Overview: And last, but certainly not least, Load Impact’s Vanessa Meyer owned the main stage and talked about using APIs as a marketing tactic. Vanessa taught attendees how in some cases an API is a company’s core product, and in other cases a company’s API can be used as an effective growth hacking tool. Check out the presentation below, and feel free to leave comments if you want to chat about it.